Meet our pal, Barkley, the World Cup “Most Valuable Pup”!! We’ve had the pleasure of watching this handsome devil grow up. Barkley’s most favorite toy is his soccer ball–it’s almost as big as he is! He even head butts the ball like Pelé himself. Barkley makes for an impressive goalie despite his small stature! 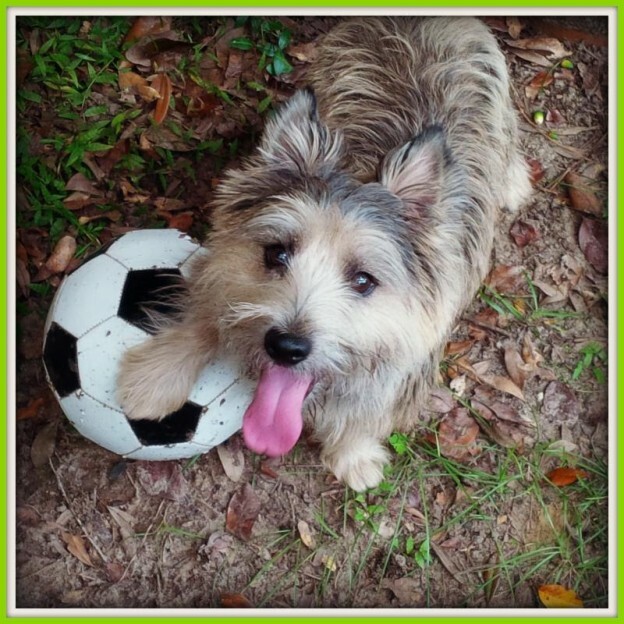 This entry was posted in Tallahassee Tails and tagged dogs, pets, Tallahassee, Tallahassee pets on February 5, 2014 by Laura Rumage.